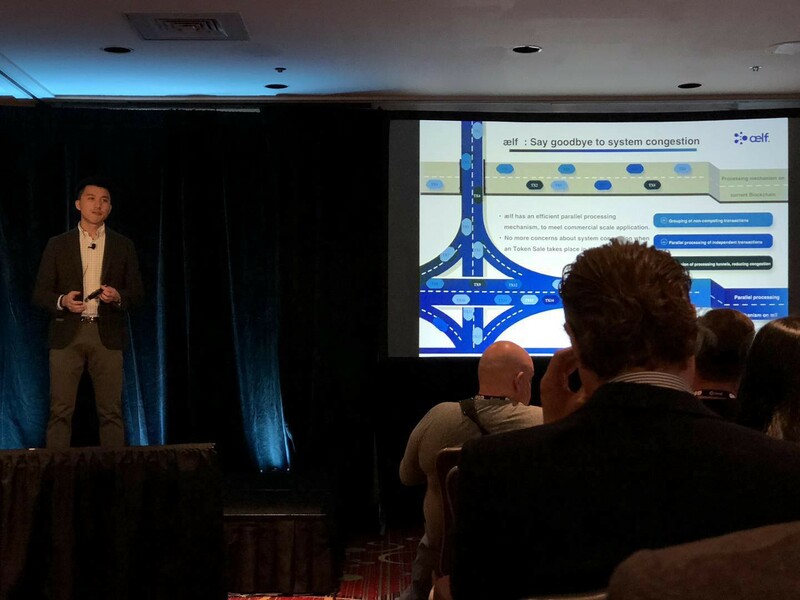 28th November 2017, NEW YORK — In front of a packed audience at Consensus Invest 2017, ælf (http://aelf.io/) Co-founder Zhuling Chen presented their plan to unleash commercial values on a performant multi-layer blockchain system. The vision is to establish a “Central Business District” where different industry applications have dedicated chains to serve their needs. ælf, originally known as Grid, is a novel design of a decentralized Cloud Computing Blockchain Network, featuring parallel processing and nodes clustering to enable scaling, multi-chain structure to cope with various business scenarios, and well-governed mechanism to incentivize the self-evolution of the ecosystem. 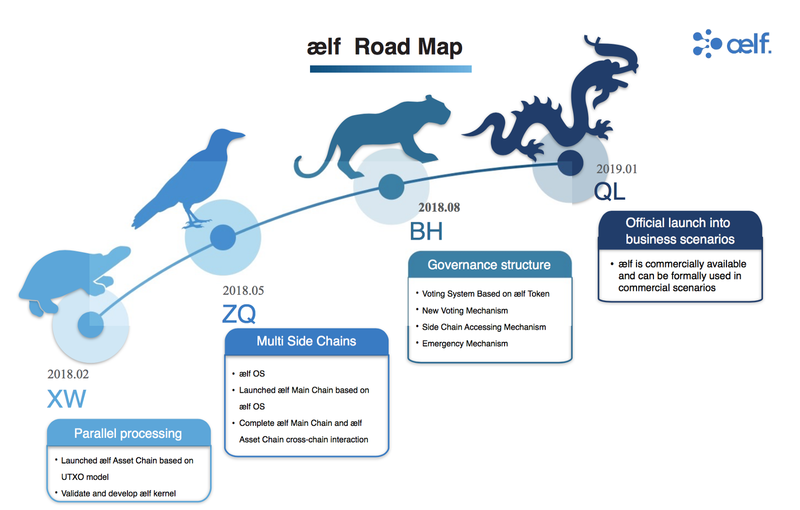 On the debut release of the roadmap, four milestones are clearly defined and named after four emblematic creatures from ancient Chinese tales, representing ælf asset chain based UTXO model and ælf kernel design by February, 2018; multi Side Chains in May next year; Governance structure in August, and official launch with business scenarios at the beginning of 2019. It will be thrilling to see a more vibrant Blockchain ecosystem where aelf enables the adoption of business innovation on Blockchain. Empowered by aelf, smart contracts can perform its task at high speed and without interfering each other. Public chains and private chains can co-exist. It bridges the gap between technical capability and commercial requirements. To ensure a growing and healthy aelf ecosystem, the team will work on three dimensions: capital, business and technologies altogether. ælf ecosystem funds will be leveraged to reward contributors and work with VCs to materialize viable ideas. Business alliance will also be created to cultivate Blockchain innovation and new business models. By working with other projects and research institutions, ælf is open to the cutting-edge technologies lying forehead. A strong team is the prerequisite to achieve such ambitious goals. The aelf project core team includes Blockchain technical expert, Ma Haobo, who has developed a Crypto exchange, crypto payment system and Blockchain system in the past. He is also a member of Blockchain Experts Committee at Chinese Institute of Electronics. Chen Zhuling is an experienced Crypto investors and as a strategy consultant to advise various governments and corporate in business innovation. Fu Li is experienced in large complex software development and is ranked top 3 Golang code contributor on Github from China. Yang Yalong is a PHD candidate in computer science with deep research experience at Monash univeristy, Australia. Global markets, including Asia is filled with vast potential of unleashing the power of Blockchain technology. The world has seen the growing passion from the expanding community. ælf, with its innovation and dedication in times of transformation, will bring in new excitement to the crypto as well as the real world. ælf, the next breakthrough in Blockchain.